This pictorial is a last of a series of pictorials about adding rear car door speakers in a vehicle. 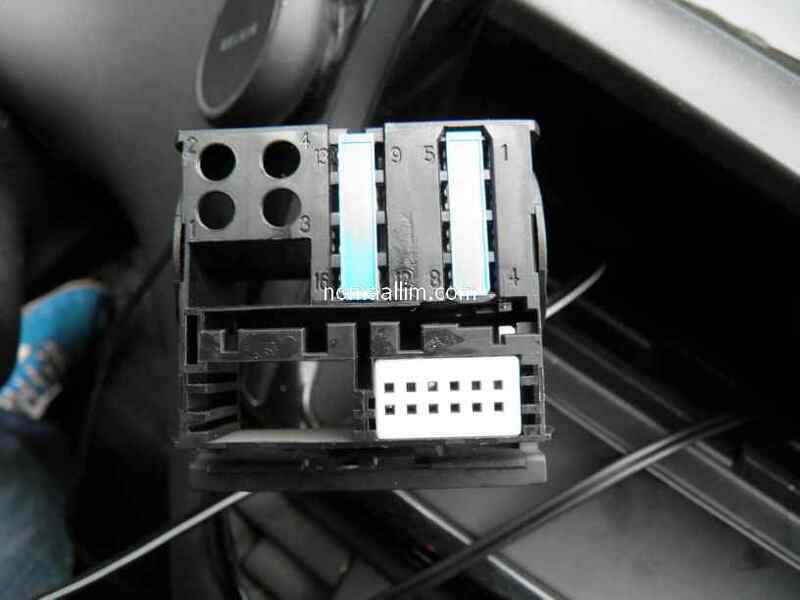 You are seeking to identify the speakers output (wires) of an original car stereo unit out of many wires connecting to it. Powers up the car stereo unit when engine is running. Provides a ground point to the car stereo unit. Returns a + signal once the car radio set is turned ON. Connects to the temperature sensor in the door mirror (through car chassis ECU). Allows the car stereo set ECU to communicate on the CAN-BUS. Such wires run up to the car speakers in doors. One is +, one is -. 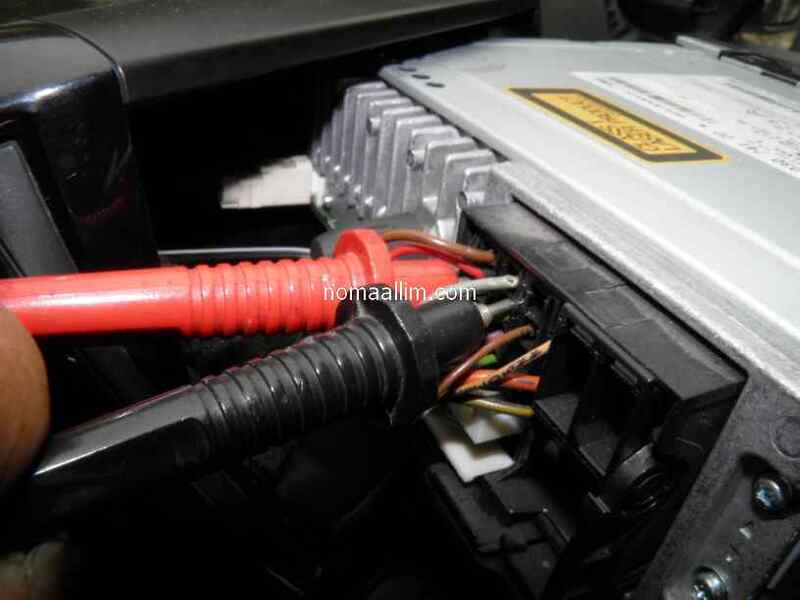 Look within the thin wires (the thick ones being for the power supply) for pairs of wires of different color grouped together on one side of the car stereo connector or in a separate connector. Note: each wire within a pair has a different color and wires between pairs have also different colors. 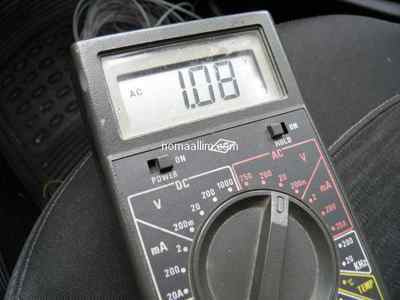 Set the multimeter at the AC voltage, highest mV or lowest V scale. 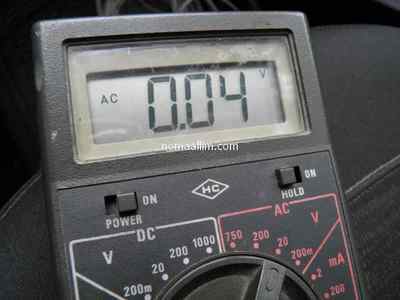 Use the test leads of your multimeter as shown on each pair to be tested. No matter where you place the positive and negative lead terminals, just make sure they are touching the metal connectors. 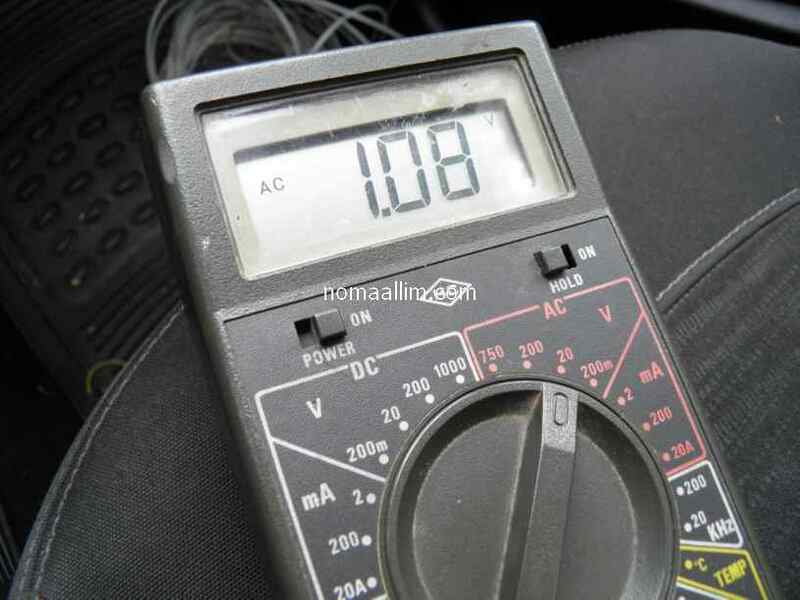 Turn ON the car radio and watch the voltage which should increase with the volume (see below pictures). If it is so, then you did catch the speaker wires. 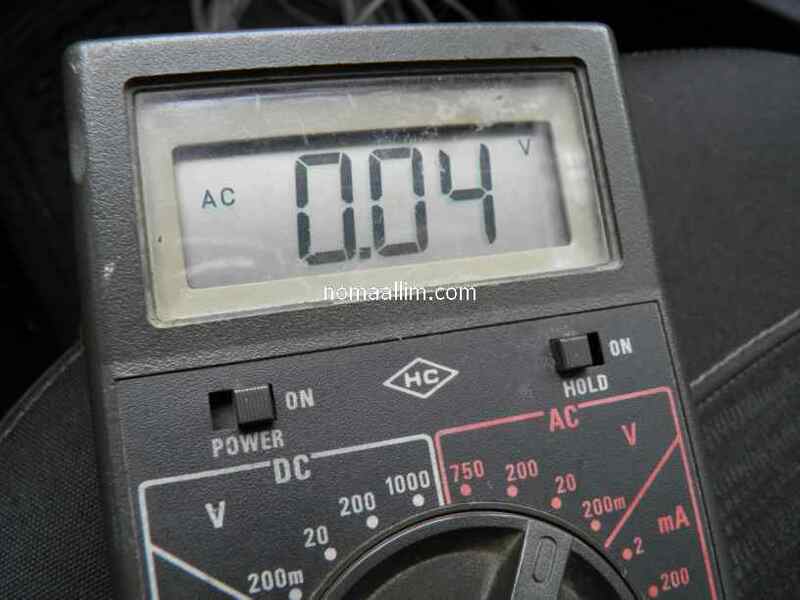 Switch you multimeter to DC voltage for testing which output goes to the positive terminal of the speaker and which one goes to the negative.